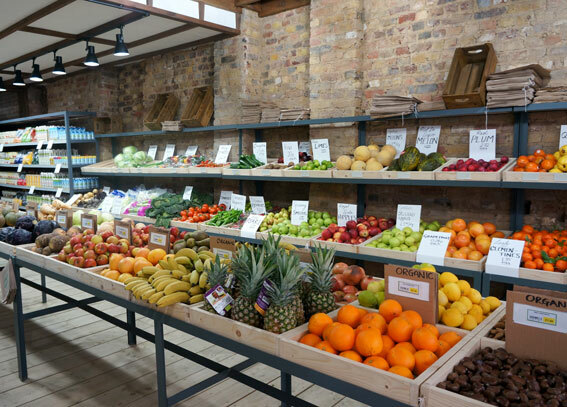 Harvest E8 is a brand new organic food store in East London (Dalston). It’s aiming to be “the new social and commercial hub for healthy eating, living and reconnecting with nature…together with a beautiful alternative cafe.” The down-to-earth interiors are utilising barn aesthetics that seems appropriately casual and not too posh for the area that is more known for partying than a healthy lifestyle. Well targeted independent stores for a specific lifestyle has a good chance to survive in the demanding business climate, if they manage to get the local support and become part of the community.